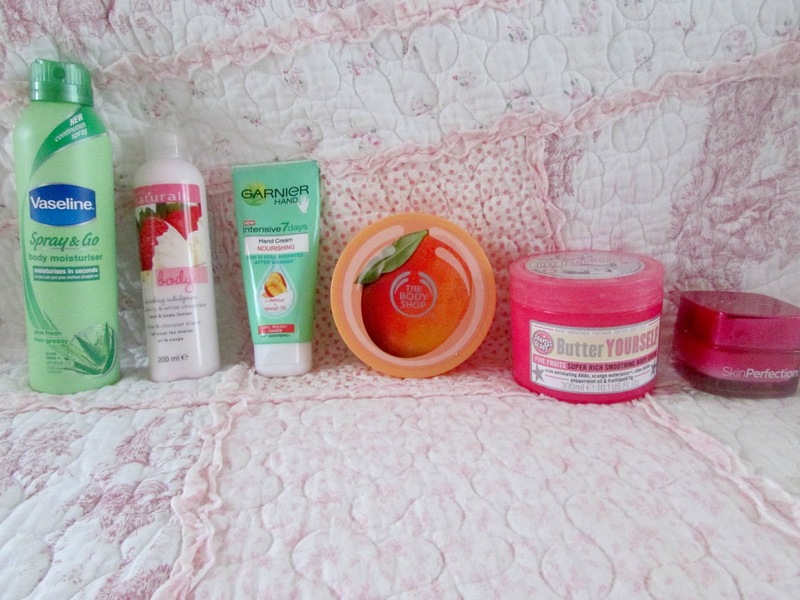 I love the mango range from The Body Shop. The mango range also has one of the smoother body butters as well, it's divine. The Avon Naturals Strawberry and White Chocolate Lotion smells like heaven! I really love it! 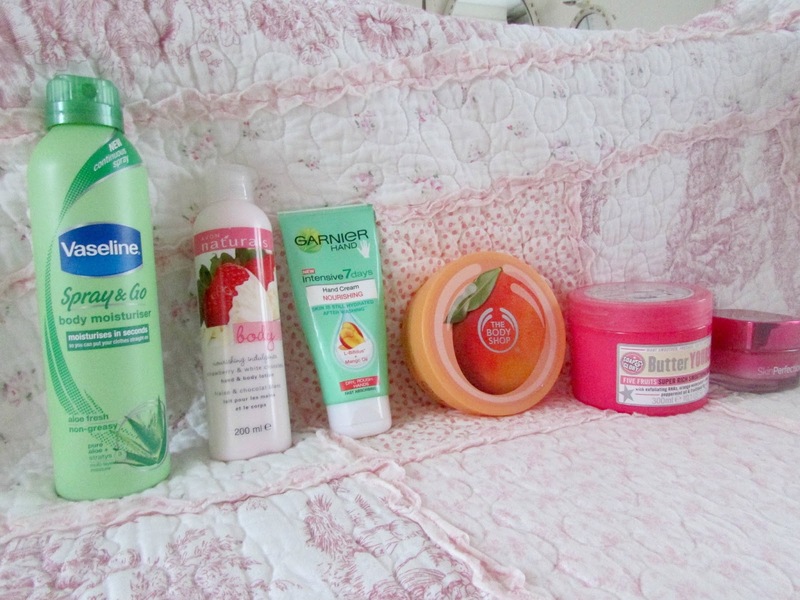 I love the Garnier Intensive 7 Days Hand Cream, it's such an amazing hand cream! i love all of soap and glory's body butters! I'm lazy when it comes to moisturizing as well. That's probably why I am noticing all these wrinkles all of a sudden! The body shop has the best butters IMO. I love it way more than bath and body works!